Today, we are intertwined and interlinked with the images of the globalized world. They help to visualize and illustrate objects and incidents that the human eye cannot see or has not seen yet. In science, visuals and illustrations have become the holy icons, where abstract formal data gets translated into simplified visual models, so that its mediation and understanding become easier. Though, just like all knowledge is relative, temporary and locally based, their visual representations lack any form of absolute truth or correctness. Let us not forget that the images that we live we, through which we communicate with each other, and through which we try to make sense of the world, are all man-made and mostly digitally produced or computer generated. They are designed models, made for a certain focus-audience to cause carefully planned psycho-visual impacts. This strange relation between knowledge, science, and reality-constructions through visual representations in various media stands in the center of art’s attention since the early days of Pop-Art, where a new-born pop-culture merged with a rebellious youth culture and massive consumerism. Since then, artists became aware of the power of visual culture, and started to deal with it in their mostly photo- or video-based works. Internet’s impact on life in the 1990’s increased artists’ sensibility for the relationship between the first and second realities, so that it is now one of the main interests of contemporary art after the Millennium. 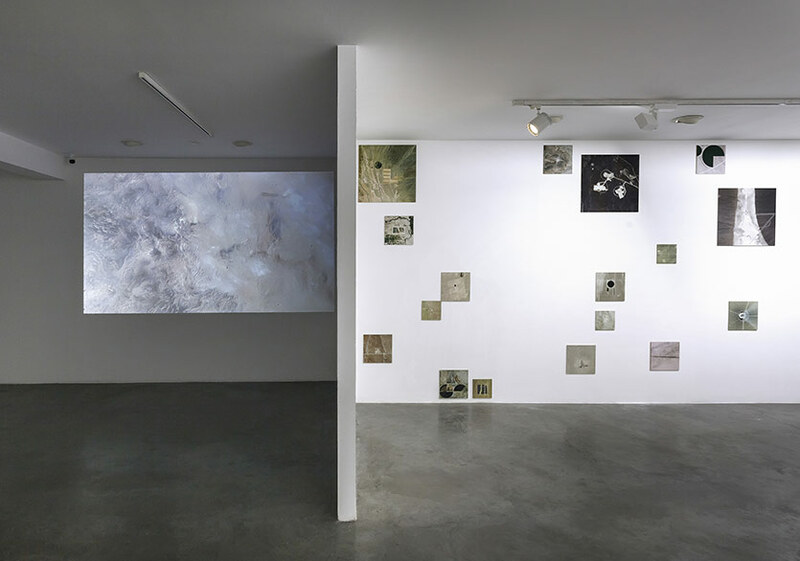 In this context, Chance and Necessity, the current exhibition of Kerem Ozan Bayraktar and Sergen Şehitoğlu at Sanatorium in Karaköy, Istanbul, means a valuable contribution to the ongoing discussion about the interconnection of the first reality and the and second one in the context of media representations. The artists critically deal in their works with the impossibility of understanding nature, the world or the universe with the limited natural and digital instruments of our perception. Reflecting on one of the most pressing issues of our time, Chance and Necessity is worth seeing, as the artists formulate an appealing critique of the validity of the visual mediation of unknown, opaque and unseen reality particles, which often declare objective truth with the help of physics, chemistry and mathematics. Bayraktar and Şehitoğlu both doubt the simplified models of science, with which we are supposed to understand the world we live in. They mistrust the reduction of reality’s entropy and vast complexity into formal-knowledge-based and objectivist visual simplifications. Instead they propose their own versions of possible reality constructions. 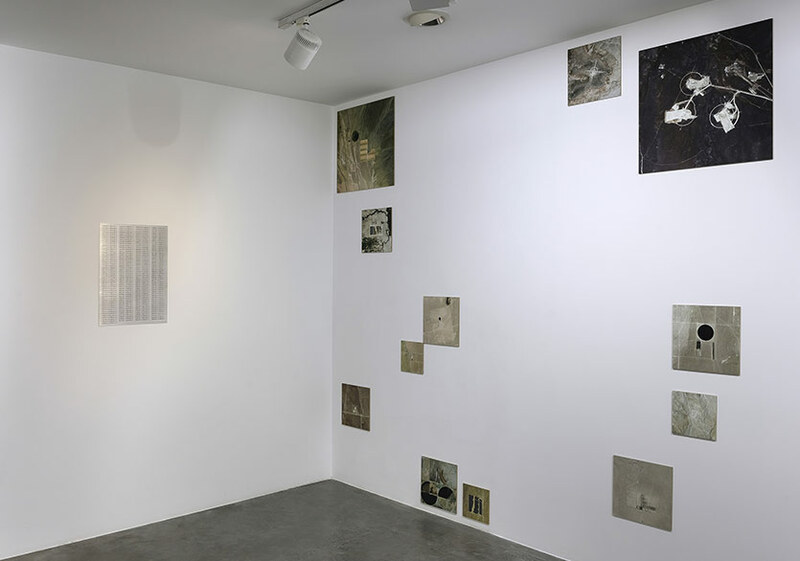 The exhibition is based on a close collaborative work between the two artists and has its beginnings in a reading and study group, where both met with fellow artists like Berkay Tuncay, Ali Mihrabi, and Yağız Özgen to discuss current intellectual matters concerning the state of today’s art and culture. In this circle, the artists have intensively reviewed Jacques Monod’s book “Chance and Necessity”, which gave the basic inspiration for the show at Sanatorium and functioned as the eponym for the exhibition. Published in 1970, the Nobel-Prize winner discusses the interconnection of modern biology and philosophy in the context of describing the importance of chance on the evolutionary process that shapes the world. Here, referring to the theory of entropy, Monod reviews our notion of order and chaos regarding man’s perception and evaluation of progress and evolution. Modern man longed for order and categorization, as chance and coincidence as well as chaos and disorder were considered as failure and distortion. Since postmodernism, we know that there is no absolute order as there is no absolute truth. Bayraktar and Şehitoğlu both are highly influenced by the book’s idea of chance and necessity in the context of understanding natural phenomena, where mostly too complex, too fast, too big or too small things and phenomena cannot be fully explained but only scientifically described and intellectually assumed. 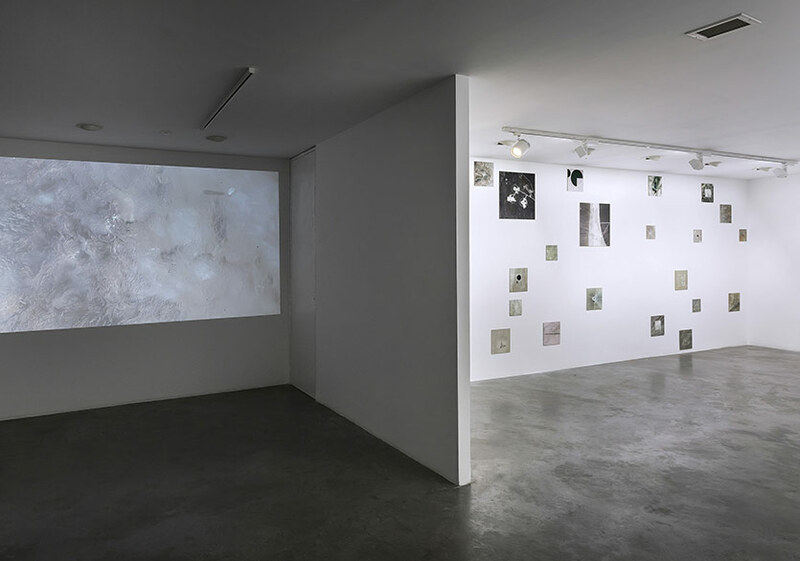 In the entrance of the gallery, the collaborative animation work Dust Devil (Video, 4”31’, 2018) depicts a piece of a desert, where in various places seen from above, a natural wind-phenomenon called “dust devil” occurs. It seems like a mysterious choreography makes the wind dance above the soil of the desert. Nobody can foresee the time or place of the next tornado, which – different from the usual – is not moving but remaining standing on its place of genesis. Neither in the video nor in real life can dust devils fully be understood. Their appearance in deserts is an unsolved mystery of nature and called “emergence”. Whenever something happens that is not fully explainable, science reaches for the term emergence. Although we know so much about the movement of winds, the geological condition of the soil, and weather characteristics, there seem to be too many unknown parameters to solve the reason behind the existence of dust devils. That is why we call for the emergence as term for the unknown or we try to find an answer in the phenomenon of chance. Though, there must be a rule and reason behind these tornados. The problem is that we do not have the intellectual ability or the technological apparatus for solving the problem. It is currently too complex for us to understand. That is why we call for chance although there has to be a necessity behind it. In the past, we called for god when we did not understand a phenomenon. Now, we call it emergence, chance or the (yet) unknown. So, the piece Dust Devil can be understood as an opener to the show and its discussed problematic. The next work is a series of photographs by Sergen Şehitoğlu entitled Mojave Desert. 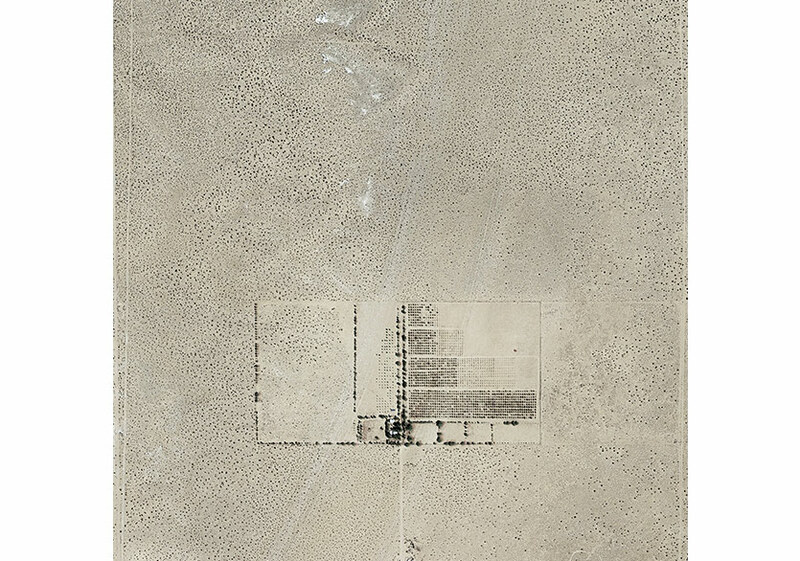 Here, the artist is using photographic details of Google Earth’s visual data base, in which human settlements and constructions in the famous American desert are visible. The desert possesses all kinds of forms from morphic to amorphous. In the frames and details he has chosen though, clear geometrical figures appear. The forms are the result of human interventions, where people have built houses and fences or roads and irrigation systems. It seems like the only way of man getting along in the entropic complexity of the desert is to mark his existence using rational and simple geometrical systems. Against the fragmental character of the desert, man can only answer with known geometry, a language that everyone has learned already as a child in school. Şehitoğlu frames the details of his observations in square-formats, and so underlines the meaning of geometry for his series once again. At the same time, the format and formal minimalism opens aesthetic references to Modrian, Malevich and other abstract modern painters, which based their work on rationality. Through the chosen forms and aesthetics, he underlines the coolness and distance that the artist is keeping throughout his work. Like an observer from high above in the sky, Sergen Şehitoğlu keeps track of evidences of Anthropocene via the morphological structure of our planet. He looks for human traces in the desert and analyses them according to their formal visuality. 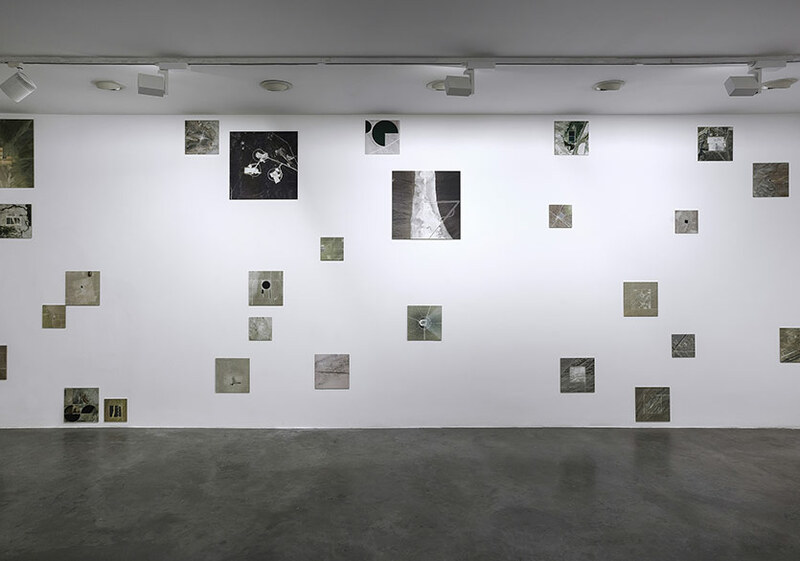 In the end, he conducts a visual research, in which he investigates the interrelationship between man as a micro-system and nature as macro-system. Indeed, this series is a good example for research-based art, a form of creation, which since the late 1990’s increasingly became popular and important in the field of contemporary art. Mojave Desert reveals a clash of aesthetics, as “coincidentally” made forms like sand textures or soil formations contrast the rational forms of man-made culture. The desert is a barren place with a rather minimal aesthetic. Still it is full of life and emergence situations, where chance and necessity go hand in hand to establish extraordinary environments and living conditions. In Şehitoğlu’s work, humanity’s longing for order and geometry becomes absurd, as the geometrical dominance is in the face of the overwhelming natural power of the desert just another helpless and fruitless attempt to gain power over nature, and to become the ruler of the world. The last part of the exhibition is presenting a new series of digital prints by Kerem Ozan Bayraktar. 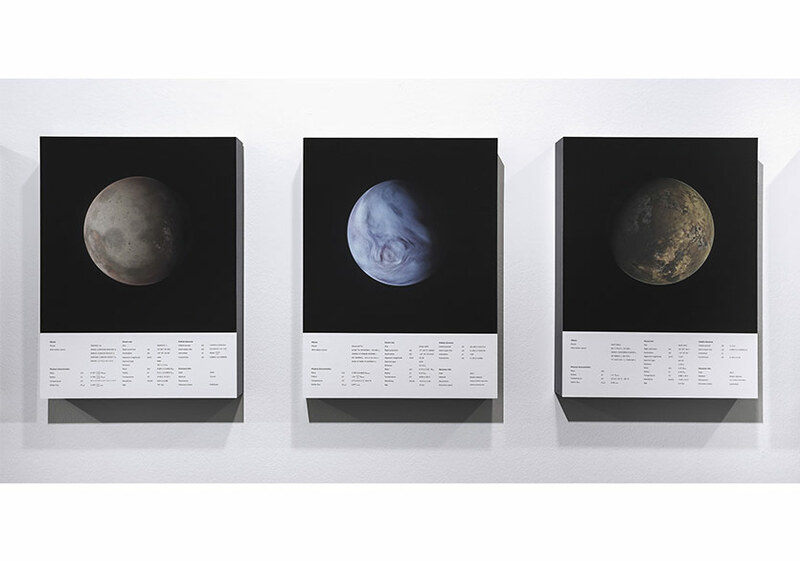 The artist shows thirteen illustration-like digital works of real planets under the title Some of the Potentially Uninhabitable Planets. In popular science, normally planets get listed according to their distance to earth or the degree of habitability. The possibility of living on another planet has always been a major topic in science as well as in science fiction. Mankind is fascinated by the idea of leaving this planet for settling on another one. So, whenever we read about new planets, we think about conquering and extending our territorial dominance. Mankind’s will to colonialize does not end at the limits of countries, continents or even planet earth. The planets in Bayraktar’s series are all real and declared inhabitable by NASA. Latest satellite technology give man the chance to look deeper than ever into space. Though, the word “looking” is rather wrong here, as it is impossible to see the planets in detail. The received data is mainly not visual but mathematic or chemical. According to the gained information about heat, water reservoir, and the consistency of the soil, conclusions about the possible appearance of the planet are made, which in the end are then given to an artist for painting a likely image of the planet. Though, let us not forget that it is only a visual assumption based on scientific data. We cannot see the actual planet but still we believe in the authenticity of its image. Kerem Ozan Bayraktar has chosen 13 planets from the closest Proxima Centauri B to the most distanced Kepler 452 B. In contrast to NASA, which interpreted the data about the planets in a positive way, the artist declares them as uninhabitable. Bayraktar goes even one step further and creates his own visual versions of the planets according to an alternative decoding of the NASA-Data. The pictures in Chance and Necessity resemble illustrations that can be found in school books or encyclopedias. This gives them a certain authentic character, as if his depictions were accurate. Who knows, they might be. At least in the context of art, they declare their own reality and truth. As long as we do not have a direct look onto the planets, all kinds of visual versions are possible. And this is the key to Bayraktar’s critique of scientific objectivity and the accuracy of its visual representation. By creating his own version of reality, he underlines the relativity of all possible reality constructions. This is the reason why the series can be understood as a critical questioning of knowledge and its visual mediation in general. Kerem Ozan Bayraktar has found a nice balance between concept and form, as well as technique and aesthetic. The works are consistent regarding idea and artistic execution. 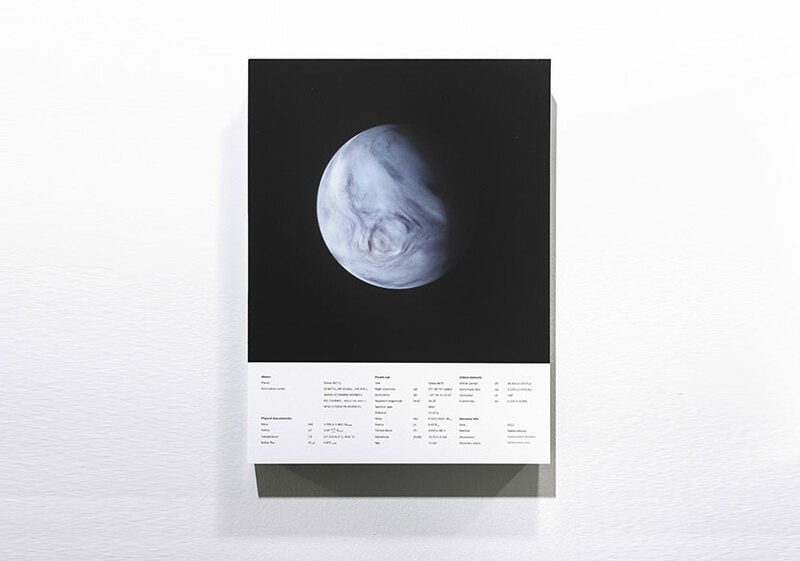 Some of the Potentially Uninhabitable Planets is a strong series, as it critically comments on the state of truth in the age of visual bombardments and post-truth. Without being polemic or didactic the artist manages to formulate an artistic critique that deals with the state of science and the notion of visuality today. In this context, Bayraktar critically reflects on the interconnection between science, art and visual culture. The two artists have worked well together during the production process as well as during the designing of the actual exhibition. The three pieces are set-up well in space, and the connection between the different artistic positions as well as the visual balance in space is nicely done. The dramatic and dynamic set-up of Sergen Şehitoğlu’s piece formulates as nice contrast to Kerem Bayraktar’s linear and static line-up of his pieces. And the video in the entrance is clear enough in form and concept to function as entry to the intellectual framework of the whole show. Like a book cover, it gives hints to the next two chapters of the show, where one deals with anthropogenic phenomena in the desert, while the other reaches out for planets in outer space to review the idea of their visual appearance. Indeed, Şehitoğlu and Bayraktar have created a beautiful and intellectually rich show for the eye and the mind. It is a pleasure to take part in their quest behind the curtain of blurred reality reflections in order to join them on their journeys to strange and yet unseen worlds.